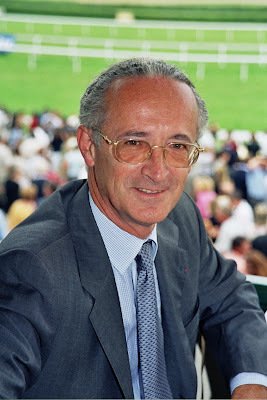 Louis Romanet, chairman of the International Federation of Horseracing Authorities (IFHA), will discuss the importance of and need for international harmonization of medication policies when he delivers the keynote address at The Jockey Club’s 57th annual Round Table Conference on Matters Pertaining to Racing at the Gideon Putnam Resort in Saratoga Springs, N.Y., on Sunday, August 23. Romanet has served as chairman of the IFHA since its creation in 1993. As the single representative body for the global racing industry, the IFHA’s primary mission is to coordinate and harmonize the rules regarding breeding, racing and wagering among its more than 50 member countries. Romanet’s remarks will conclude a segment on domestic and international medication standards. That segment will also feature an overview of the regulatory process, presented by Joe Gorajec, executive director of the Indiana Horse Racing Commission and past chairman of the Association of Racing Commissioners International, and a progress report and new recommendations from the Thoroughbred Safety Committee, presented by Stuart S. Janney III, the chairman of the committee. Dr. Scott Palmer, chairman of the American Association of Equine Practitioners’ Racing Task Force, will provide a veterinary perspective on medication, Steven Crist, chairman and publisher of Daily Racing Form, will share some thoughts on the way Thoroughbred racing medication issues are perceived by bettors, the public and the media, and Diana Pikulski, executive director of the Thoroughbred Retirement Foundation, will discuss the foundation’s vocational training program. In the area of equine safety, Dr. Mick Peterson of the University of Maine will provide an update on the Racing Surfaces Testing Laboratory, and a progress report from the NTRA Safety and Integrity Alliance will be presented by Mike Ziegler, executive director of the alliance. A transcript of the Round Table Conference will be available on The Jockey Club’s website a few days after the event. The website is located at http://www.jockeyclub.com.